Colvin & Moggridge » Colvin & Moggridge work in partnership with ecologists at Buttersteep House, Surrey. An exciting refurbishment of the interiors and gardens of Buttersteep House has been completed since the Autumn of last year. 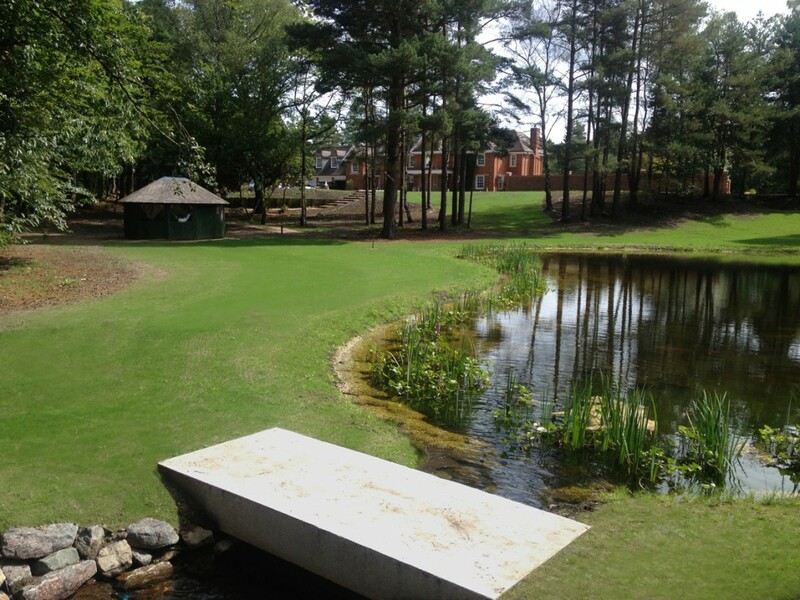 New elements include a rose garden, a pond with cascade and ornamental gazebo, a kitchen garden with glasshouse, and the reinstatement of footpaths and a tennis court. The extensive clearance of rhododendron and scrub has imaginatively opened up garden areas to create wildflower drifts, woodland meadow and herbaceous borders around the principal lawn. In concert with ecologists, the landscape scheme adopted a particularly sensitive approach to the existing tree canopy of the site’s Crown Estate location, most significantly to mitigate impacts on the existing bat population. A relocation license was successfully submitted to Natural England and a new garden store built to compensate for loss of habitat.